QuickBooks Online is tried and tested for small business accounting. Brought to you by Intuit, makers of the No.1 best-selling small business accounting software in North America, QuickBooks Online continues to be a top choice for business owners with over 4.5 million users worldwide. QuickBooks Online gives you the ability to access your business accounting anywhere you have an internet connection, from your smart phone, tablet, laptop, or a desktop computer. QuickBooks Online saves you time on your accounts. With easy access to all your figures, reports, invoices, customer details and more, it's easy to find the information you need - instantly, and from anywhere! QuickBooks Online automates your accounting. Unlike using pen and paper, it's harder to make mistakes because QuickBooks Online does all the calculations for you. You can drop the custom spreadsheets and complex formulas ... there's no need for them anymore. All your records are in one place with QuickBooks Online. This includes your customer records, contacts, and supplier details, as well as all your financials. Did we mention QuickBooks Online is searchable too? This makes all of your data easy to find and access. Takes care of everyday tasks with no hassle. With QuickBooks Online you can automate daily and recurring tasks, like generating quotes, creating invoices, creating reports, or viewing your business cash flow. Track every sale and all expenses in one place that is accessible from anywhere. Enter the details of sales and expenses as they happen so you have accurate cash flow information at your fingertips. 6.5 Accept credit card payments with QuickBooks Online. And guess what? You aren't tied to the premium Intuit QuickBooks credit card processing rates. With Novera Payment Solutions' innovative QuickBooks Plugins, you can take advantage of our lower flat fee merchant account rates and save considerable money on your credit card processing through QuickBooks. Novera Payment Solutions is a leader in the credit card payments industry. We are committed to helping your business improve its bottom line by providing significant savings on credit card processing fees through our innovative and transparent flat fee merchant account pricing models. If you want to accept credit card payments through QuickBooks, you are no longer tied to Intuit's costly merchant account program. Contact Novera to learn more about how we work with businesses to provide the most fair and transparent pricing structure available on the market today for QuickBooks credit card processing and our InstantAccept plugin! Our powerful InstantAccept plugin saves your busineses an incredible amount of time and money in reduced labor. When you pair that with Novera's innovative and transparent merchant account pricing model, it's even better! The advantage is InstantAccept integrates seamlessly with the QuickBooks software for credit card payment processing. It allows you to accept and record credir card payments and updates QuickBooks® in real time with no extra steps on your part. Combine Novera's flat fee merchant account pricing model and InstantAccept's time-saving financial integration, and you save a significant amount of money annually over those using other processors and manually entering accouting data into QuickBooks. In addition to it's time saving integration with QuickBooks, InstantAccept also offers built-in fraud detection tools. "Cybercriminals are more sophisticated than ever when it comes to conducting fraudulent transactions and accessing sensitive credit card data. 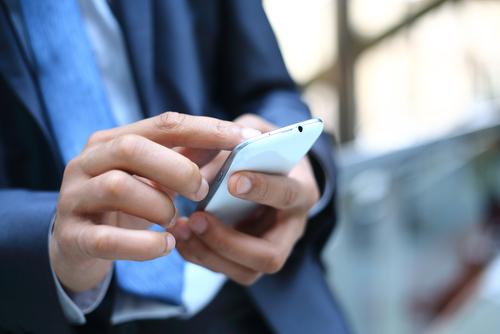 InstantAccept™ works with some of the most cutting edge fraud solutions to date. This protects your QuickBooks® databases and records, keeping every transaction safe and secure." Novera's clients using InstantAccept™ with our payment gateway integration have access to some of the most powerful credit card merchant account fraud prevention tools available. IPViking blocks suspect transactions before they are presented for authorization and payment. It works by evaluating the IP address and point of origin of every credit or debit card transaction. This helps identify and stop fraud before the transaction even takes place. Stopping fraud before the transaction occurs saves your business money in terms of preventing lost inventory, chargeback fees, and unnecessary administrative overhead. eCommerceShield is a fraud prevention solution that protects your business pre- and post-authorization. It provides a triple layer of merchant account fraud protection that used to be available only to larger businesses. It uses real-time threat intelligence and IP origination data to block almost all fraudulent transactions before they are sent to the issuing bank for approval. If a fraudulent transaction does pass through for authorization, eCommerceShield features a "rules engine" that reviews high volumes of data in real-time. This offers a second level of protection for your merchant account. eCommerceShield's third layer of fraud protection offers a human element. Any transaction that gets flagged as suspicious is sent for analysis to a credit card fraud expert. The expert on the other end can then confirm valid customer orders or alert you to stop the fraudulent transaction before it is fulfilled. eCommerce businesses need to take chargebacks seriously. Most business owners know that chargebacks cost the business money, but many don't realize thatchargebacks due to fraud can actually cost you your business. You can be banned from ever accepting credit cards again ... not a good situation. Chargeback Alerts reduce the time it takes for you to be notified of potential fraud from weeks to hours. This gives you more time to nullify the chargeback or to issue a refund, preventing it from being counted toward your chargeback ratio. Novera Payment Solutions is a leader in the credit card payments industry. We are committed to helping your business improve its bottom line by providing significant savings on credit card processing fees through our innovative and transparent merchant account pricing models. Contact Novera to learn more about how we work with businesses to provide the most fair and transparent pricing structure available on the market today for credit card processing and our InstantAccept plugin for QuickBooks! QuickBooks is by far the most popular business accounting software for companies small and large across the USA, claiming nearly 95% of the business accounting market with over 3.7 million users. With that many users, there are thousands of tips out there to help companies save time and be more efficient when using the software. Here are 15 of our favorite QuickBooks tips! 1. Know essential, basic keyboard shortcuts. 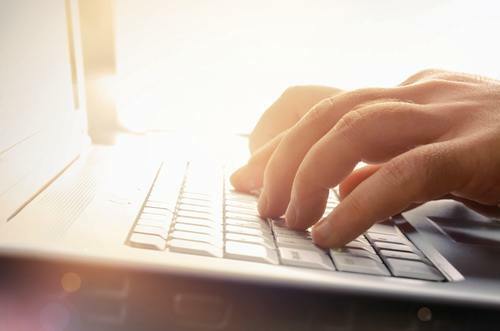 Rather than taking 2-3 clicks to get to a screen to perform a common task, QuickBooks keyboard shortcuts enable you to access screen in QuickBooks with a simple combination keypress. Here are a few of the essntial basic shortcuts. If you have a transaction that you frequently enter (e.g. recurring bills), you can save time by memorizing the transaction for future use. If you use the transaction on a regular basis (for example, monthly), you can set it up as a recurring transaction when you memorize it. Otherwise, you can use it as needed by entering it from the Memorized Transaction list. 3. Make use of customer notes. Using the customer notes feature in your client records save you time. Collections calls can be notated, special client requests, and any other communication. Having this information in a central location is invaluable. Simply position your cursor in an amount field, enter a number or highlight the whole number, and simply press a calculating key ( +, -, *, / , %). It's like magic! The file manager organizes client’s QuickBooks files by type, by year and version. The Password Vault also secures login information, user names and passwords. If you using more than one checking account, you can change the background color for quick identification of which account you are using. Simply spen the register for a checking account and click "Edit" on the menu, then and select "Change Account Color." Be super productive by using several open windows at once. You can quickly and easily navigate between them by displaying a list of them. Click "View" in the menu, then click "Open Window List." You can save time on data entry by setting QuickBooks to automatically place a floating decimal point when you enter a number. Click "Edit" in the menu, then "Preferences". Select "General", then "My Preferences". Then check "Automatically place decimal point". Now if you enter 49, it will enter as .49. If you enter 3295, it will enter as 32.95. With this setting enabled, obviously you need to pay special attention to ensure if mean to enter $49, you enter 4900. Create invoices in a batch can save you a lot of time, if it makes sense your company. For example, a subscription based service may need to invoice 100 customer $9.95 each month. Using the batch invoicing feature, you can do this all in one step. Go to the "Customers" menu, then select "Create Batch Invoices." QuickBooks has a "Prepare Letters and Envelopes" tool offers an a good selection of templates and mail-merge capabilities. This enables you to generate custom letters for customers, vendors, and employees right from QuickBooks. 11. Use "Ask My Accountant"
If you not 100% certain how a transaction should be coded, put it in "Ask My Accountant." You can temporarily house transactions here if they need to be researched, or if you truly need to have your accountant review for proper classification. Set this account up as an "Other Expense" classification so it shows in the Profit & Loss statement. Always, always, always backup your QuickBooks data file to the cloud. External hard drives or thumb drives are ok, but they can get lost or damaged. Try using DropBox or Google Drive. How is this a time saver? If you've ever had to rebuild a QuickBooks data file, you know! Every business is unique. At the top of your screen, QuickBooks has an icon bar that gives you quick access to a variety of tasks. You can edit the default icons in this tool bar. Add or remove icons to suit the needs of YOUR small business. From within various QuickBooks screens, you can right-click your mouse to get quick access to relevant menus. It can definitely be quicker to access a feature you need by right-clicking to bring up the menu, than to use the toolbar and main QuickBooks menu. One of our personal favorite add-ons is for credit card payment processing. 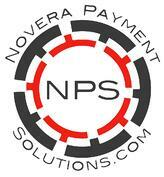 Novera Payment Solutions' InstantAccept or QBPlugin, provides integration for QuickBooks® payment processing for credit and debit cards, ACH (Automated Clearing House), EFT (Electronic Funds Transfer), and Electronic Check conversion using a powerful and secure Payment Gateway and Secure Vault Software. Process credit cards and checks for invoices seamlessly in QuickBooks®. In addition to an easy to use turnkey solution for QuickBooks® users, Novera Payment Solutions has also developed a simple, transparent pricing model utilizing a “FLAT FIXED FEE” for merchant services. This saves a TREMENDOUS amount money over the built-in Intuit payment processing offered by QuickBooks! Keyboard shortcuts can be a lifesaver in a time crunch. The ability to keep your hands on your keyboard rather than switching back and forth between it and your mouse can increase productivity. You also won’t have to search through all the buttons in the program to find what you need. Take a look at this list of QuickBooks keyboard shortcuts from the QuickBooks User Guide to make your work simpler. Keyboard shortcuts are fast and efficient. 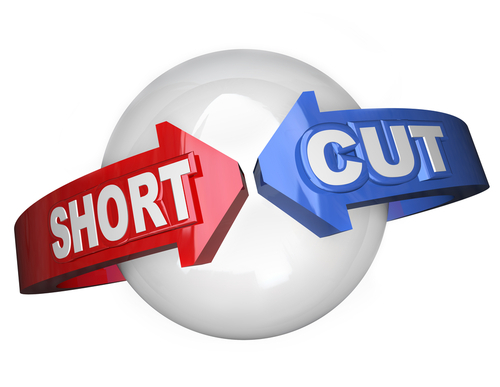 Some people may not care for shortcuts because they can be hard to remember; but once you get the hang of it, you realize just how much they can help. We’re not saying you will never have to use your mouse again, but you can definitely quit reaching for that mouse every other second and actually get some work done! Our powerful QBPlugin saves your busineses an incredible amount of time and money in reduced labor. When you pair that with Novera's innovative flat fee merchant account pricing model, it's even better! Whether you a new QuickBooks® user, or a power user, you'll love the new QBPlugin from Novera Payment Solutions! The Plugin for QuickBooks® is a payment software for Credit Cards,ACH (Automated Clearing House), EFT, (Electronic Funds Transfer)and Electronic Check Conversion using a powerful and secure Payment Gateway and Secure Vault Software. You can process through your QuickBooks® software and attach it to your Merchant Accounts. Finally, you have the freedom to choose the best solutions available to cut your processing costs & accounting times and great merchant accounts. Pulls & Posts data to & from QuickBooks®- no double entry. The features and benefits of the powerful QBPlugin save your busineses an incredible amount of time and money in reduced labor. When you pair that with Novera's innovative flat fee merchant account pricing model, it's even better! QuickBooks is one of the most popular accounting programs on the market. Even if you have been using it for years, there are some features you may not know existed. We have put together several surprising features that QuickBooks offers. If you haven’t used QuickBooks, perhaps these special features will help you decide to switch! Having a report that is wider than one page can make it hard to read and understand. It never fails when you create a new financial report, there is always one annoying line that carries over to the second page. QuickBooks allows you to shrink reports to fit on one page horizontally or vertically, enabling you to present all data on single page. Love this! Sometimes when you do a search, you end up with hundreds and hundreds of records to scroll through. QuickBooks actually allows you to search within a group of search results. After you do the original search, all you have to do is check the box next to the search bar that says “search within results.” Now you are only searching within that first group of results. Time saver! Have you ever found yourself entering customer data and wishing there was a field that isn’t available to you in the default selections? Maybe there is a field specific to your industry that isn’t already in QuickBooks or whichever accounting program you are using. QuickBooks actually has a feature that enables you to define/add an additional field and name it whatever you like. Simply click “additional information” and then “define fields.” We like customization. Do you find yourself entering the same transactions at the end of each month for each client; or possibly even weekly? QuickBooks has a feature that allows you to automatically set up those transactions to occur at the same time each month or each week. By pressing “Ctrl+M,” you can bring up a tool that will allow you to set parameters for your repeating transactions. This will save you time from manually entering the same transactions each time they occur. Time is money, right? Using Novera Payment Solutions' QBPlugin, you can quickly integrate your merchant account with QuickBooks. Between the recurring transacations and the data entry required to enter credit card payments, the QBPlugin is a huge time-saver. It eliminates your duplicate data entry, streamlines your process in accepting payments, and saves you money on credit card processing fees. Who doesn't like to save money? With all these features and many more, QuickBooks may be the perfect solution to your accounting needs. And if you are already using QuickBooks, these features may help you save time and be more efficient with your accounting processes. 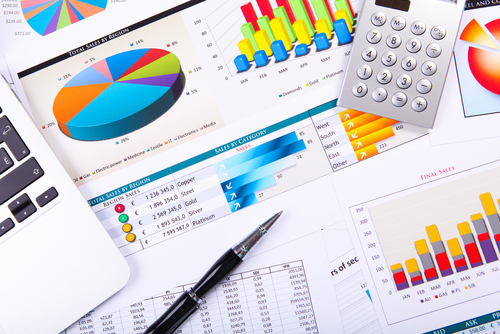 Spend some time getting to know the shortcuts and plugins available for QuickBooks software. Even though it may take some extra time in the beginning, it will save you time (and money) in the long run. QuickBooks® pitches itself as "a better way to run your business", allowing you to do more in less time, work anywhere, anytime, including all the essentials from bookkeeping and billing to payments and payroll. No matter what type of business you have, keeping track of all your financial information is very important. Having a reliable accounting system that is easy to use is essential. QuickBooks® was created for use by small business and provides many features to cover your accounting and payroll needs. QuickBooks® is probably one of the easiest accoutning programs out there to use. Sample companies are available for you to practice using the program with, allowing you to navigate through all of the features without messing up any of your company's real data. And of course, there are tips and help features to get you through any challenge that may come your way. A nice feature in QuickBooks® is the ability to customize it to fit your business. You can upload your logo to use on letterhead, invoices and reports. You can setup your own layout for documents to make them work the way you want them to. You can remove unecessary fields and edit the Greeting, Salutation, and more. There are also several different versions of QuickBooks for you to choose from depending on the type of business you have. 3. It's compatible with other popular software for business. Since QuickBooks® is a widely used product, it is compatible with many other programs you may already use for your business. QuickBooks® was designed to be compatible with Microsoft Excel and Acrobat Reader. This allows you to import and export data for use in reports, presentations and more. If you are currently using Excel for your accounting, you can easily switch to QuickBooks without losing any of your work or having to re-enter everything; simply format your Excel document and upload your current data into the QuickBooks® system from Excel to get started. The price of QuickBooks® is very affordable compared to a lot of the other accounting programs on the market. Prices start at about $250 for the basic boxed package and as low as $12.95 per month for the online version. They even offer a 30-day free trial so you can try it out before purchasing. You don’t even have to go to the store for the box version because they offer the program as a download on their website. 5. It keeps your data organized. 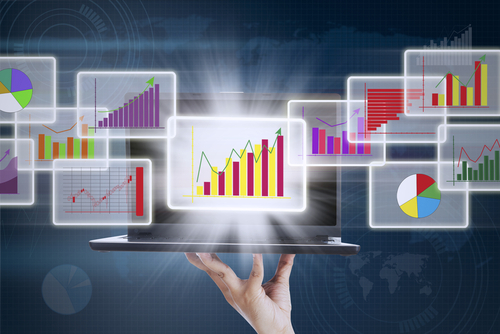 QuickBooks® can store a lot of information. It tracks all of your checks, bills and invoices and can even keep track of your inventory and send you an alert when it’s time to re-order. This feature will not only save you time, but will also increase accuracy and reduce errors. You will always know where your business stands financially and you can even project forecasts. 6. If you accept credit cards, you can integrate your merchant account. Using Novera Payment Solutions' QBPlugin, you can easily integrate your merchant account with QuickBooks. This eliminates duplicate data entry, streamlines your process, and saves you money on credit card processing fees. From billing and payroll to statements and reports, QuickBooks® has you covered. Whether you are a small business or a larger enterprise, QuickBooks has designed a program just for you. If you are looking to get rid of that old ledger or are just looking for a change in your accounting software, QuickBooks could be your solution.